Who am I? Chris Lawrence, Born 1964. I live in West Kirby, a peaceful town by the sea, with my Muse Karen and children Ben, Alex and Elisabeth, with an older child, Charmaine, making her own way in the world. But before we get ahead of ourselves, this writer was a reader first. Imagine a child lying in a patch of sunlight reading ‘Robinson Crusoe’ and ‘ Black Arrow.’ Travelling into adventures inside his mind. After reading other peoples adventures the child starts to try out his own imagination, writing short story adventures similar to those he had previously read. Carrying this on into school, English Language became one of his favorite subjects, right through to College and after. A defining moment came with the discovery of books by European and Latin American authors Cortazar, Zola, Moravia, Kafka and the Americans John Dos Passos, Theodore Dreiser and later 20th Century writers and poets Brautigan and Bukowski. As a result that writing expanded but was closeted away until my Muse persuaded me to submit some of that now harnessed imagination and with work published in Troubador 21, Amphibi.us, Calloused hands, Deuce Coupe, Zygote in my Coffee, Red Fez and many more, i have not looked back since. Pleased to have discovered you here Chris. Looking forward to exploration. Regards from Thom at the immortal jukebox. Hi Chris. Thank you for visiting and following HoB. Much appreciated! Thank you so much for the blog follow and the like of my post, “If only. . .” It led me to your blog, which I am now following. 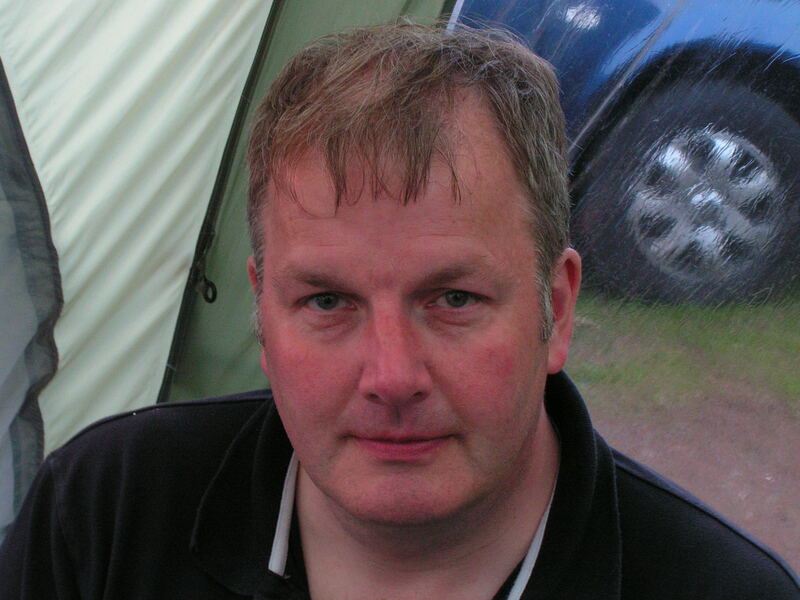 Hi Chris, Thank you for liking ‘ The Experts!’ And wanting to follow my poetry adventures. Best Wishes, The Foureyed Poet. Thanks for following my blog. You’ve got a wonderful blog ! 🙂 Nice.. Keep it up, Chris. Stay connected.. Thanks for visiting my blog, have nice day and good weekk end, Fabio. I nominated you for a “very inspiring blogger award”. Please check it out. Finally..I got to the end of this to comment. Glad you came by and followed. Be well. Hi Chris, thanks for introducing yourself by following our site. We all should give thanks to our muses–it looks like yours is deserving of great praise! You might also enjoy the RAXA Collective facebook page–see you there! Hi Chris, we noticed…thanks so much! Enjoyed wondering around your site. I think the best writers are also great listeners and read a lot. I can’t imagine writing without reading. Thanks so much for following our e-zine! Thanks for following my blog, Chris, and liking my post about pubs and poetry. I’m reading your work. wow. West kirby. I live in Italy, Calabria, in a little country on the sea too, but I hate it. I can also come to west kirby? “this writer was a reader first” I like that, hits close to home! and thanks for stopping by and following my poetry blog. And I am sorry to hear about your father passing away. May he rest in peace and you and your family are blessed with patience and perseverance. Thanks for sharing your writing background. I can relate to some of it. I have a STAR for you…. You’ve been nominated! For more details, please visit this post! You are truly gifted at writing. I admire ….and envy your talent of putting thoughts to words. Thanks for liking and following my blog Chris, much appreciated. Thanks for tagging on to my short verse blog. I do so enjoy The Sunday Whirl and meeting the wonderful writers that take the Wordles in so many different directions. I’ve been posting my longer verse on my other site. I just finished #75 and can’t wait to post it tomorrow morning. I still have quite a bit to figure out with blogging. I’m slowly adding other writers to my word press site. Continued success with your muse and family. Hi Chris, thanks for exploring my blog. I love your profile, and will be dropping in on your poetry. Brilliant, we are going to start pushing our literature pages very soon and would love for you to do a few features for us and showcase your work. Thanks for your interest and look forward to hearing from. Thanks for following my blog! I’ve bookmarked yours…great poetry! I wish you a lovely day ! Thanks visiting and for following my blog, I hope you enjoy it! first we read, then we write, then we read again. I like your acknowledgement of all the books and writers that shaped you. An indication of a true and honest writer. Thanks for liking my “favorite things” post! You have a beautiful blog here, especially your poems, it will be a pleasure following it. From japan, thank you for visiting my blog. That’s what we writers do, isn’t it—travel to adventures in our mind. It’s what I used to do all the time as a child. And even though, now, I travel to adventures in the “real” world, I am still fascinated by and drawn to the adventures a good writer concocts. I can’t wait to read some of yours. Thank you for finding me, enjoying my recent post, and following my blog. Thank you for visiting my blog. I post photos concerning the things I see through the lens of my camera so I am glad you stopped by for a visit since I am not a writer. Kafka. Mmm. My kinda crazy. Thanks for the “like” on my poetry business. You don’t by any chance have some little contribution lying around that only a mom would love? Or your own DearMuse — does she take up the pen? Or your mom? Mom-in-law? Kids? Just couldn’t help but ask. You retain all rights. All, as in a loan to a museum, you can request it removed at any time and I will comply, etc. Bukowski equals yes, times five. Nice to meet you and thanks for the follow! I like your blog as well, great poems! Thanks for following Keeping up with Carol! 🙂 I look forward t reading your writings! Congratulations on your success..Thanks for following poemsandponderings. Best wishes to you, your “Muse,” and your entire family. “Black Arrow” struck a familiar chord, I’m going to have to Google it up and see what I have forgotten. Your blogs are amazing. I am humbled that a person of your talent liked a poem of mind and that you are now following my blog. Thank you. i am going to enjoy so much following you as well. I have been writing since I became Beatle crazy – 48 years. i finally decided to come out of the closet and do a blog. I doubt I will be published but I am happy when people like something I did. Again, thank you. Congratulations on your published works and making your writing career a reality. I know that is so difficult to do and I am always in awe of someone who can make it happen. In your case, it seems as though you were meant to do this. I look forward to reading your posts in the future. Thanks for liking my Author Interview ! Thank you Chris for visiting and following MoE’s art, kind regards, Gregory. I like your style, Chris. I’ll be back again… hopefully more regularly! Hi Chris-amazing stuff! I am afraid I may have done something wrong with your words, though. I am baby-new to my “TheAuthorLink.com” and went to ‘press’ your lovely writings and I may have taken them as my own. I don’t know enough about WP to fix this or even how to see if I did in fact do so. So sorry if I did, it was purely unintentional. Hope we can remain ‘friends’! Hey Chris- Hi from LinkedIn. I was born the same year, and my grandfather lived in Hoy Lake West Kirby! (34 Birket Rd). Mind you, that was 1901- before he abandoned his wife with 3 small children, moved to Canada, married my grandmother, had 3 more small children and abandoned them… Not a family man apparently, but it took awhile for him to figure that out. Thanks Shawn, i have sent you an email, you may be interested in some family history! No sign of an email from you on LinkedIn, my website, or my main address. Where did you send it? Try shawn (dot) bird (at) ymail (dot) com. Just changed mine, http://zelliemquinn.wordpress.com/ I like your picture in the ‘about’ – I’m looking for one for my new design, to put in my ‘about’- I think your blog has cool personality/ design! Thank you Michelle, maybe we can all hummmm together lol as we get this rolling.